It seems that it is not only in the UK where police patrols on motorways are far less common than a decade ago; after having just returned from travelling on autoroutes in Normandy and Brittany the French police appear to be equally absent. Although road casualties in France are far higher than here I felt that the French hare brained, must get there quicker than you attitude has diminished. Indeed I felt confident crossing a road by a zebra crossing that traffic would stop.......and it did. Which brings me to yesterday`s announcement from the Chief Constable of Lincolnshire that he is giving additional discretionary powers to the county`s PCSOs. Many years ago I posted on creeping practices across many professions of hailing the extra help that "assistants" would give to principals. The argument went that the employment of such people at relatively low wages would free up time for their senior professionals and would thus be cost effective. Such briefings always emphasised that the role of the assistants would not impinge that of their professionally qualified superiors. Thus were born CPS prosecuting assistants, teaching assistants, dental assistants, optical assistants, nursing assistants and many others including police community support officers. Of course it is now acknowledged from government to nursery that what the military term "mission creep" has truly engulfed us when these assistants take on the roles previously withheld from them and for which latterly pseudo qualifications have been required. And all this is for the single purpose of saving money whatever the cost to society in the longer term. Most generally law abiding citizens come into contact with police only for traffic matters. Police constables having survived intensive scrutiny to be accepted, with their extensive training in the classroom and on the job learn how to handle the sensitive interface between them and the public; whether a firm warning is sufficient right up to the powers of arrest. My experience in practice and whilst on the bench is that PCSOs lack such judgement. That`s not surprising considering the low level of academic requirement and a starting salary of £19,500 maximum. 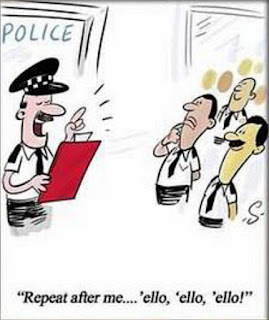 Now these assistant police officers by any other name are being given enhanced powers by a constabulary which Her Majesty`s Inspector of Constabulary concluded was below the "must do better" level of a school report card. This is the time we live in when a former home secretary applying the rules of austerity recently agreed with the then 2018 home secretary Amber Rudd that rising crime bears no relationship to the decimation in the numbers of police officers and that government funding had increased. Never was the phrase "government that knows the price of everything and the value of nothing" more applicable.........with apologies to Oscar Wilde.